Happy September! I finally have had time to create a new card! 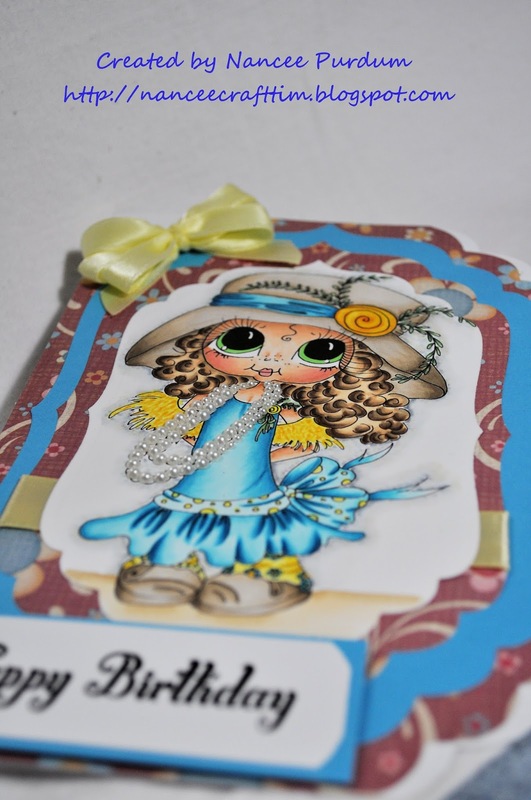 I saw some cards on Pintrest with some adorable images from Sheri Baldy Designs. They are digital images, and so adorable! I just had to have a few. LOL! 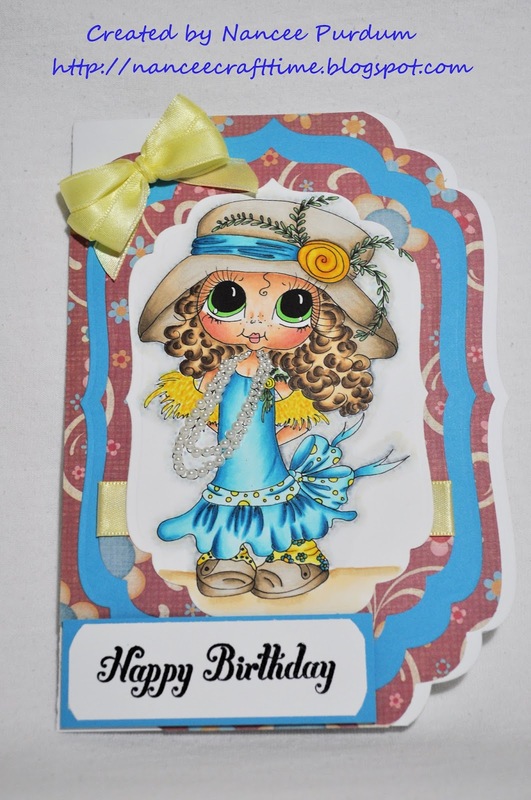 For this card, I used Gayle Gatsby. I thought she would make a great birthday card. 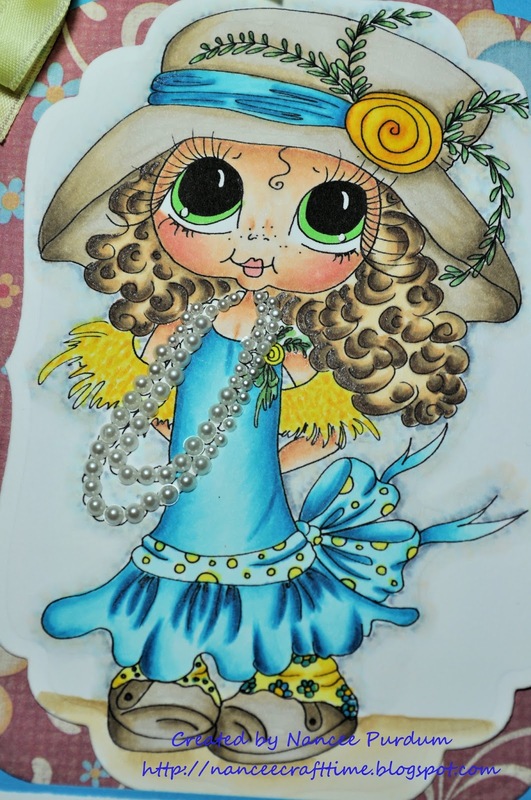 I used Copic markers to color the image. I wanted to make a shape card, or at least not a square or rectangle one, so I used a Spellbinder’s die to partially cut the card. 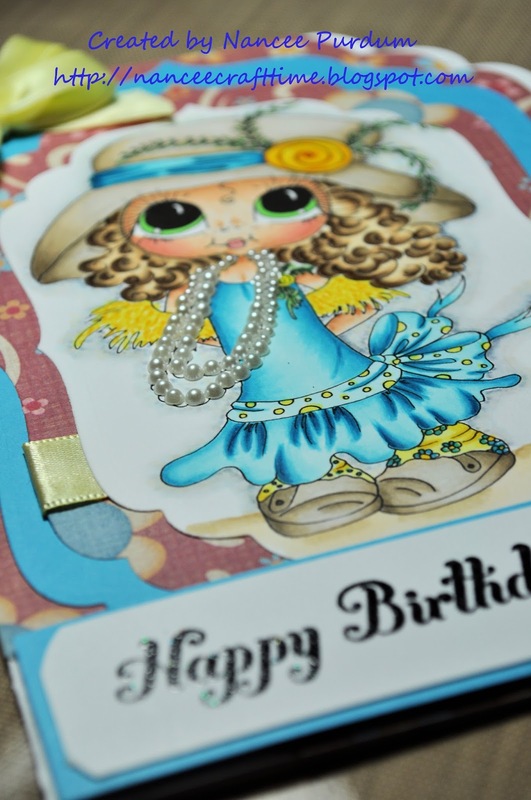 I then used smaller dies from the same set for the top of the card. My sentiment is from Stampin Up and paper is from my stash. 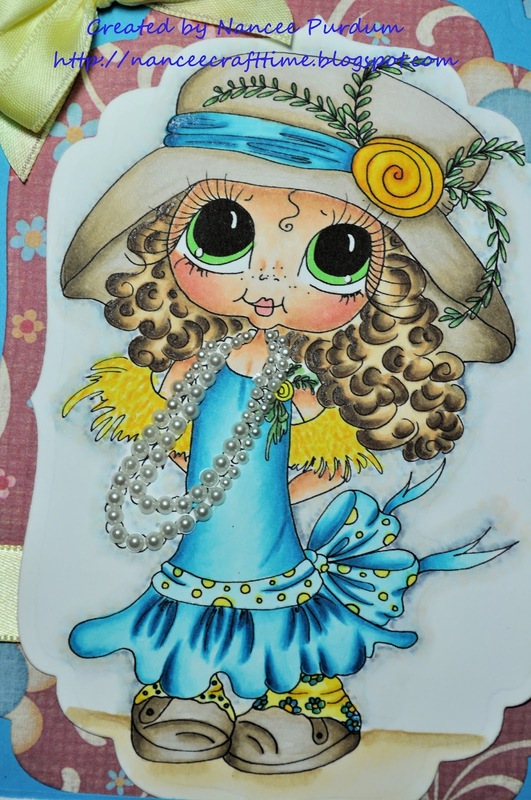 The image has a necklace, and I decided to add small pearls instead of coloring the necklace. I really like how it turned out. I used dimensions to raise the sentiment, but left all of the other layers flat. I saw a double bow someplace and decided to try a triple bow. I really liked how it turned out. Not too bad for my first attempt. 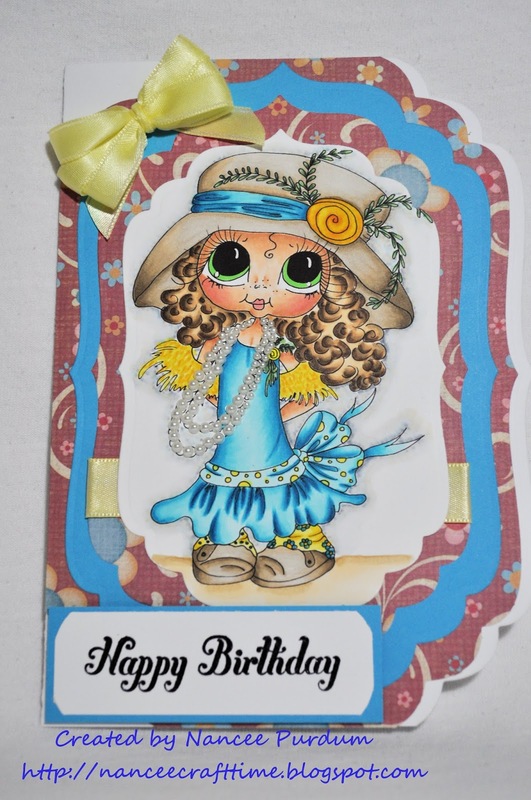 Wow, fabulous coloring and card design.